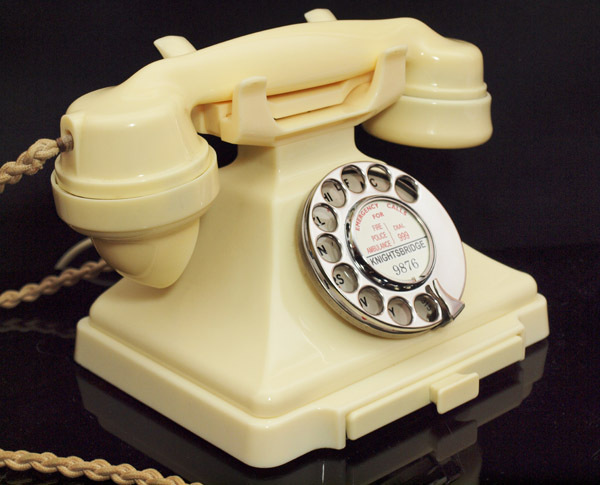 A very elegant and beautiful telephone. This has a lovely even colour and all original. 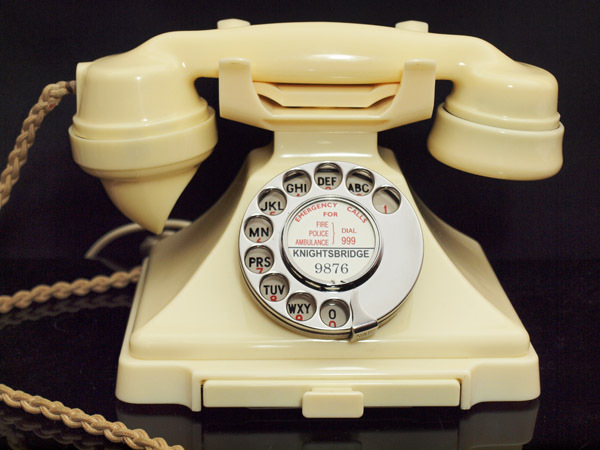 The handset is marked 164 57. It has been totally stripped down and rebuilt after each part has been cleaned and polished. 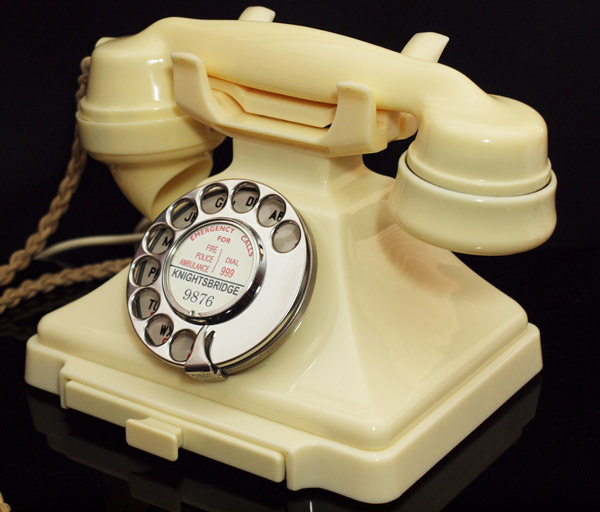 The handset is an original GPO braided cord in good used condition and the line in is a GPO specification round plastic cord with a UK telephone plug socket. It has an electronic microphone fitted to allow modern speech quality. I can fit a small internal bell at no extra charge but this will not be very loud but ideal if in a bedroom or in a small quite room. 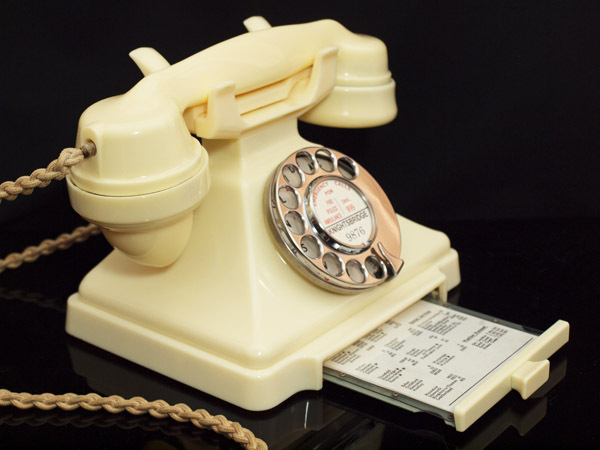 A GEC 64D model bell set with a double socket can be added for a further £40 or a fabulous Ivory No26 wall mounted bell set which is an exact reproduction with all original GPO internals fully working and ready to plug in at £185. I can make a dial label with your information at no extra charge.